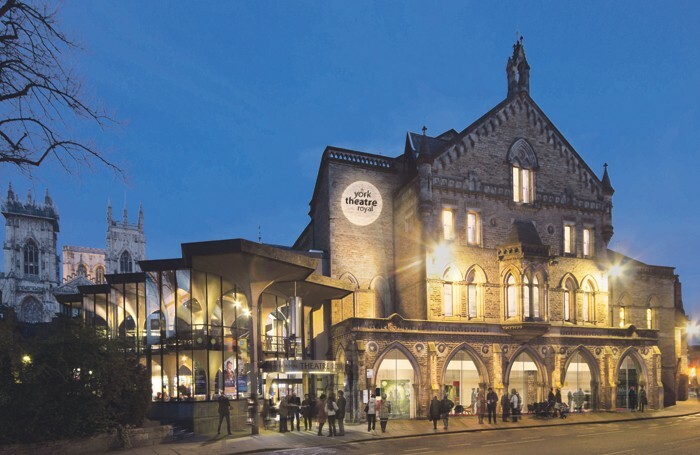 The headline on a recent Stage story – York Theatre Royal invites non-theatregoers to decide programme –had a companion in Edinburgh spluttering into his coffee. And at first sight it might indeed seem like an odd thing for a theatre to do. After all, nobody is going to let the English cricket team be selected by people who have never seen a game of cricket and have no knowledge of the game. I am probably not alone in having a definite preference for the air traffic controllers monitoring the movement of planes in the skies to have had a long and arduous training before they are let loose on the job and start making decisions about which planes should be where. It is not alone. The programme at Contact Theatre in Manchester is decided not by artistic director Matt Fenton but by a board of young people. Fenton has form in this area: a decade ago when he was at the Nuffield in Lancaster, he handed over a season’s programming to locals. It did not lead to wall-to-wall Agatha Christie thrillers. In Brazil, the government has handed arts funding directly to local communities in some cases to spend as they consider most useful to them and the artists. The local people are experts in their community is the thinking, and direct investment provides a boost to artists working with those communities. In the case of York, the initiative, called Visionari, is quite clearly part of an audience development strategy. And it seems a remarkably sensible one; during the two-year scheme, those involved will take part in regular workshops to understand every aspect of the theatre’s work. Perhaps their very presence within the building will change the way the theatre operates, and challenge its traditional methods of cultural curation. A real problem of working and running a theatre is people can very quickly become institutionalised. I’m often surprised that many theatres, who may be highly creative in the work they produce on stage, are often highly uncreative in the way they operate and very set in their ways. Often they operate on hierarchal structures too. The Visionari programme shows a theatre thinking hard not just about those it already serves, but also those who it does not, and asking why and how that might be changed. It means trying to make relationships in a different way with the community, relationships which are not based on the merely transactional but on skill-sharing, information sharing and demystifying. For those of us who are devoted to theatre (although often also disgruntled by it) it is hard to really get our heads around the fact that there are millions who simply do not think it is for them and never go. Many schemes to entice non-theatre goers are built on the idea that if you keep offering cheap or free tickets and can only get people through the door they will instantly undergo a Damascene conversion and become a lifetime season subscriber. Maybe a few will, but while the cost of theatre tickets might be a factor why some people do not attend their local theatre, there are likely to be other reasons preventing many from going. Look at it this way, I have absolutely no desire to attend an ice hockey game. I wouldn’t be tempted to attend an ice hockey game if the tickets were free. Or even if they paid me to go. But if my local ice hockey team could come up with a way to make me feel more informed, invested and part of their success then maybe I would indeed become a convert. For too long theatres have made work for audiences and not with audiences. They have made and programmed theatre that reflects the artistic tastes of those at the very top of those institutions. But what if those running our theatres are not representative of the communities they serve? Will their cultural curation reflect the dreams, needs and diversity of that community? One way of ensuring that it does is to be bold, brave and generous enough to hand over decision-making to others, to actively try to make space rather than taking space, and to constantly ask not what the local community can do for the theatre but what the theatre might do for them.